“Queen Elizabeth II set the record as the longest-serving British monarch on Wednesday. By about 5:30 p.m. British time, she had ruled for 23,226 days, 16 hours and approximately 30 minutes, according to @bbcnews. Elizabeth became queen in February 1952, after her father died of cancer. She was just 25. 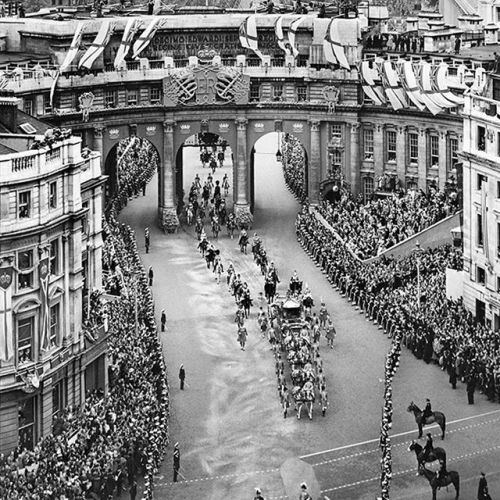 The following June, three million people lined the route from #WestminsterAbbey back to #BuckinghamPalace after her coronation ceremony. This photo comes from the archives of @nytimes. #tbt #queenelizabeth” By nytimes on Instagram.